THE BLEACHER BRIEFINGS: Who Will Be Named the Starting Quarterback of the Titans? Who Will Be Named the Starting Quarterback of the Titans? It seems like year in and year out, the Tennessee Titans manage to compete in the tough AFC South. 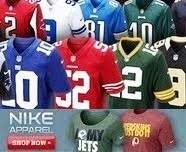 The question is, who will be leading them at quarterback in their attempt to win a division title this year? 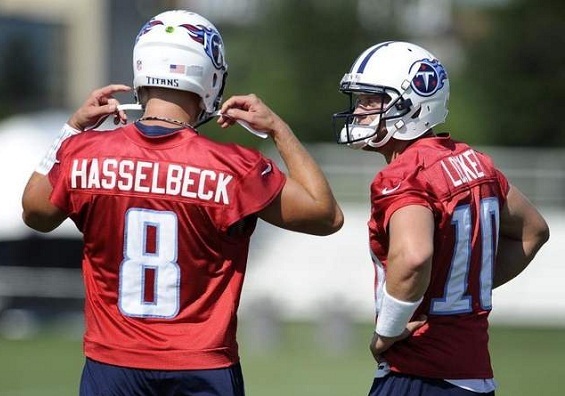 Will it be Matt Hasselbeck, or Jake Locker? This time last year, Hasselbeck was brought in to be the starter, and to also help groom Locker to be the starter of the future. But could the future be now? Locker played in five games last season, and threw for 542 yards, 4 touchdowns, and NO interceptions. Not only were his numbers pretty impressive, but he also managed to keep the Titans in almost every game he played in. The guy showed great leadership, something not often seen in a rookie quarterback. Over the course of the season, Locker also managed to fix one of his major problems from college. He stopped scrambling as much and became more of a pocket passer. This is something many people thought he couldn't do when he entered the NFL. As for Hasselbeck, he's now a 14-year veteran. He led the Seahawks to the Super Bowl during the 2005 season, losing 21-10 to the Pittsburgh Steelers. Last year, he threw for 3,571 yards, 18 touchdowns, and 14 picks. It's obvious that Hasselbeck is the seasoned veteran of the team, and he probably gives the Titans their best shot at winning now. Still, it's hard to ignore just how good Locker looked in limited action last season. In the end, I see Hasselbeck being named the starter, with Locker seeing some playing time in certain situations throughout the course of the season, before taking over as starter full-time time next year. I see Hasselbeck starting the season as the starter, but I think Locker will take over at some point. If the Titans are out of the playoff chase by week 9 or 10, Locker will be in there.